We usually end up with leftover cooked oats on the mornings we eat breakfast porridge. This recipe (borrowed and tweaked from lifebyjeanie.com) combines leftover cooked oats with gluten free flours and warm wintery spices. We eat them for breakfast, smeared in butter, but you can eat them as cookies anytime. They are soft and filling. Enjoy! Combine the wet ingredients (not the oats or milk yet) and mix well. Incorporate the dry ingredients (minus raisins and nibs), then add the milk and the cooked oatmeal. Finally add the raisins and the cacao nibs. Mix until well combined. Spoon onto greased or lined (silpat, parchment) cookie sheets. Bake at 375º for 12 to 15 minutes. The cookies will not spread and they will be golden and soft when finished (though thoroughly cooked inside...should not be gummy). Here is a helpful video tutorial on making your own gluten free flour mix (thanks for the link, Amy!). I have seen varying NT-style methods for preparing oats. Here is my method. If you don't already know why you should soak your oats and other grains (in an acidic medium) before consumption, please read Nourishing Traditions and/or the many available articles on the topic (I'll post a few links below). Because oats are nearly devoid of phytase, the enzyme activated by soaking that helps to break down phytic acid, it is important to add a small amount of a grain that does contain phytase during your oat soak. I use buckwheat because it is a gluten-free grain (as are oats when not contaminated). The ratio is 1 Tb. buckwheat groats to 1 cup oats. I usually cook steel cut oats for improved nutrient and taste profile. My current method of "quicker" steel cut oats for breakfast is as follows. On any given morning, I begin the soaking process by putting my oats and buckwheat into my pot with a small amount (about 1/4 cup) of kefir or a few generous dashes of ACV. I then fill the pot with nontoxic water, basically in a 2-1 water to grain ratio. (The oats will expand.) I allow the oats to soak all day (minimum 12 hours). Before bed, I rinse the oats with fresh water (some people do, some people don't...), then return them to the pot and cover the oats with water to about one inch above the oats' level. I turn on the stovetop to medium and bring the oats to a gentle boil. At that point, I turn off the heat, cover the pot with its lid, and go to bed. In the morning, the oats will be cooked, having slowly absorbed the liquid overnight, and will only need to be heated before consumption. I serve with generous amounts of butter, cinnamon, some raisins and raw milk. Leftover oats are baked into breakfast cookies. What? No Bread with That Butter? People who know me well know me as a butter pusher. Fat (wonderful fat, nourishing fat, necessary fat, delicious fat, good fat) is the most essential human nutrient, and my favorite fat is pastured butter...homemade from raw grass-fed milk preferably, but hey, that's hard to keep up with 365 days a year...I buy butter, too! Good butter is so beloved in my household that my younger son likes to give pounds of butter away to special people as gifts...you know he really thinks highly of you when he wants to send you home with some butter. As my husband and I share with people how important good butter is in the diet and how essential it is to eat lots of it daily, we inevitably hear this question: How do you eat butter when you don't eat bread? Granted, we are beginning to eat some homemade sourdough breads of late, but it isn't a regular occurrence; and we were grain-free for two years on the GAPS healing regimen. So the question remains...how do you eat lots of butter when you don't eat lots of grain-based foods? I thought I'd enlist my kids to help spread the butter love and share how we eat our butter, hopefully inspiring others to eat more butter without thinking it has to be on bread. The response I got was funny...my oldest son looked at me, head cocked, eyebrows raised and asked, "What do you mean, people don't know how to eat butter? You just put it on everything." I love it! He is properly butter indoctrinated. Basically, we just put butter on all our food. Whatever the meal is that I've prepared, we just top it with butter. Eggs for breakfast? Butter them...and the pastured bacon that goes with them. Steak? Finish it with a pat of butter. The accompanying roasted root veggies get buttered, too. Salmon with carmelized onions and asparagus? Butter, please! Roast duck with butternut squash and pureed cauliflower? How could you not drench with butter?! We even put butter in our soups...it melts, and it's delicious. We all know it's important to eat healthy vegetables with our main meals, so if you aren't doing a raw salad, try veggie sautes. It's a regular standby here, and so easy, nutritious and delicious...just saute onions, garlic, carrots, fennel, summer or winter squash, kale or chard, whatever you have on hand! When you plate the meal, just add butter! Steamed veggies? Of course they love butter. Oh, how scrumptious veggies are with butter! If you are eating any form of cooked vegetables, you have a butter vehicle just waiting to be adorned. I make a lot of one-pot meals with meats (lamb, pork, beef) and veggies...I like fewer pots to clean. So whether it's Shepherd's Pie or No-Noodle Lasagna or just plain old beef and veggie stir fry, top it off with a spoonful of butter! Many cultures drizzle all their dishes with olive oil. We do that, too. And we also dollop with butter...same concept. Baked winter squash, baked sweet potatoes, baked all-other-kind-of potatoes, absolutely beg for butter. And pureed cauliflower spiked with lots of butter (aka GAPS mashed potatoes) is a surefire crowd pleaser. My kids butter their cheese sometimes. And when I bake cookies (gluten free at this point), we butter those, too. My husband likes to eat pick-me-up spoonfuls of butter drizzled with raw honey. The kids love "chocolate treats," basically butter/cacao mousse. If you eat grains, all the better to add more butter...rice, quinoa, millet, morning oats...whether plain or pilaf, accompanying grains are always better topped with butter. Tortillas? Top with butter, cheese, avocado, salsa, what have you. Crackers? Butter them. Organic popcorn? Come on, that's an easy one! So, how do we eat our butter? Well, I think the better question is how do we not? (We have yet to dip cold raw veggies in plain butter...though celery sticks with butter and raisins are good.) The key in my mind is that we are creating meals with Real Food from scratch...and good food begs to be accompanied by good butter. And olive oil, too...I certainly don't mean to discriminate. My passion for butter doesn't blind me to the other good fats, we use them all...coconut, lard, duck fat...they all have their place in the kitchen, some for prep, some for finishing. But around here, butter reigns supreme. So grab some grass-fed butter and drip, dollop, scoop, smother...you'll wonder how your meals ever made it to your stomach without butter. Steam a head or two (depending on size) of cauliflower in water. When fork tender, put the cauliflower and 1/2 cup of the cooking water into your blender. Add 1/2 cup butter and some real salt to taste. Blend until smooth. You can adjust the amount of liquid to suit the consistency to your taste. For post-GAPS folks, blend the cauliflower with raw grass-fed milk rather than the cooking liquid, and don't forget lots of butter!...this version is even creamier. Yum! I've noticed a little trend of late, at our local farmer's market and natural food store. I'm hearing inklings of a new twist on the search for clean food. "As long as it's non-GMO, you're OK...just avoid the GMOs." I have been told that customers are less willing to pay for organic...they only care that the choices are non-GMO...a less expensive option. It seems like in the careful consumer's search for "affordable" food, GMO avoidance has taken the spotlight and the chemical soup that we have been so ardent to avoid for so long has begun to fade from our fears. Image from Wikipedia...Gives new meaning to "food safety," eh? The GMO scare has become such a prominent focus in the Real Food realm that I wonder if we have lost sight of the bigger picture. Of course we should avoid GMOs, of course they are not safe, of course they are not Real Food. But the dangers of GMOs are only one part of the picture. We can't let the GMO spectre overshadow the reality of toxic chemicals in our soil and our food supply. The use of pesticides (insecticides, herbicides and fungicides) and synthetic fertilizers is the cornerstone of industrial farming. These are the dangerous chemicals that health advocates warned us about so fervently in the past decades (how can we forget Silent Spring ? ), and we should not lessen our resolve to avoid them now. Research continues to show that exposure to these chemicals can have serious and lasting health consequences for generations (with an emphasis on negative endocrine effects...ie infertility). We used to have chickens and ducks. We currently have goats and pigs. We know firsthand the costs of organic inputs. My husband's recent search to find local, less expensive, clean grains to feed the animals we raise for our food has been disheartening. Most of the growers in our area are using the toxic Agent Orange component, 2,4-D, a carcinogenic and endocrine disrupting herbicide. One farmer my husband spoke with was quick to claim that his grains were non-GMO, but he admitted he did use 2,4-D...the dangers of which he side-stepped with a bit of spin that sounded like a page out of the county extension agent's handbook. The move to 2,4-D does not bode well for the future of food. That herbicide is gaining popularity because it works when Roundup does not. Yes, you heard me correctly. We know how toxic Roundup is...but 2,4-D is apparently worse. (And sold for "home" use as well...let us not forget the toxic lawns that American children play on regularly...2,4-D is one of the most popular lawn herbicides used.) In fact, Dow and Monsanto have already been seeking governmental approval for their next wave of chemical brews to combat the ever-growing "weed" and pest resistance. As they all do, this widely used herbicide will contribute to the proliferation of "super weeds," which will herald Big Ag's cry for even stronger poisons. Where does it end?! Image from heartlandbeat.com...BigAg food prep. Perhaps I have an overactive imagination, but I can't help feeling that while the heretofore chemically cautious consumers are being distracted by the evil that is GMOs, the chemical companies are laughing all the way to the bank (as they continue to spread their ever-worsening poisons across America). Of course, big chem and big biotech go hand in hand, as the increasing use of stronger chemicals is being touted by said industries as necessary for their GM crops. We need to be wary of losing our original zeal for clean, organic, Real Food. And because commercial (certified) Organic growers are allowed to use some pesticides (yes, even the synthetic kind), we need to be avid about finding clean food sources or growing our own. If we become lulled into a false sense of security by focusing solely on GMOs, we will return ourselves to the days of eating poison and paying the piper with our physical demise and our children's compromised health future. The costs of complacency are too high. Yes, truly organic food is more expensive, but what is your health worth? Your children's health...their brain function, immune function, future fertility? Why are we fooling ourselves into accepting the industry's chemical brews? Perhaps we need a reminding nudge about what we are turning a blind eye to...maybe a "light read" of the many legal chemical pesticides available to food producers. (Lists are published state by state...check out this one for New York). We need to remind our friends, our families, our neighbors, ourselves that the chemical toxins in the food supply have serious and lasting deleterious health affects. Nontoxic food costs more to produce; it costs more to purchase. But...Pay now or pay later. Such is the reality of dealing with poisons in our food. I made biscuits the other night for dinner, to accompany beef broccoli soup. Our middle son, affectionately known as the butter fiend, demonstrated for us the proper way to apply butter to bread. (Pardon the deficient photo, but I can assure you that all sides and the innards were coated.) Note the tooth marks. Dear Weston would be proud, I dare say? Mix flour with kefir, add remaining ingredients and blend into smooth dough. Allow to sit for a few hours if possible. Roll out on floured surface, cut out with biscuit cutter or a glass. Alternately take pieces of dough, roll balls in palm of hand and flatten on baking tray (these are less attractive, but get the job done). Bake on buttered baking sheet or use liner (silpat or parchment paper), 350º for about 40 minutes. Lather with butter and enjoy! This was one of our "leaving GAPS" grain trials. No one reacted badly to the biscuits except for me...but when the kids can tolerate a food, I cry success! I am testing about three grain foods a week, making sure they are soaked and/or sprouted. Is Your Grass-Fed Butter Really Pastured? As a butter lover (fiend...pusher), I cannot sing the praises loudly enough of pastured butter. You know what I'm talking about, fellow fanatics...The golden goodness of the nutrient-rich fat that is born of sunshine, green grasses, and healthy cows. And we also know how rare real pastured butter is...that free-ranging, grass-fed non-franken milk cows are not a dime a dozen. I, like many of you, have had a bit of a love affair with Kerrygold butter...second only to New Zealand, I believe, Irish pastures are green nearly year-round (don't quote me on that, though). How might you respond if you discovered that your pastured butter wasn't? That the grass-fed milk cows producing your butter were were living in a huge barn, eating delivered grass? That the pastures weren't receiving the benefit of nature's most natural, nutritious, free fertilizer? Welcome to the "zero grazing" grass-fed method. What defines pastured? Is a "zero grazing" grass-fed dairy operation producing pastured milk? Will that milk be sufficiently rich in vitamin D (are barn skylights enough)? Is this a nourishing and sustainable option? I'm not making any accusations, any statements about any brands of butter. I have no knowledge of which companies are purchasing whose milk. But the following video makes me wary of the grass-fed dairy products I might be purchasing. I don't think the grass is the only important component in Real Milk products. I suppose this is another reason that being far from our food production means lack of accountability and real consumer-driven quality control. Contrast with this video of my friend's property, where they raise a few Guernseys (an "old world" heritage breed that naturally produces A2 milk, more easily digestible and less problematic for humans). Are the differences between the "zero grazing" grass-fed model and the genuine pastured model significant? You decide. You are what you eat. Trite? Perhaps. True? Absolutely! What you put into your bodies determines whether you are well or ill. If you want to know why you and your children are sick, examine what you're ingesting (or breathing, or injecting). To build and preserve real health (and create healthy children), you must eat Real Food...pure, natural, unadulterated, honest-to-goodness FOOD. What our industrialized food system has created is neither good, nor pure, nor even real food. Food cannot be industrially mass-produced without being corrupted. 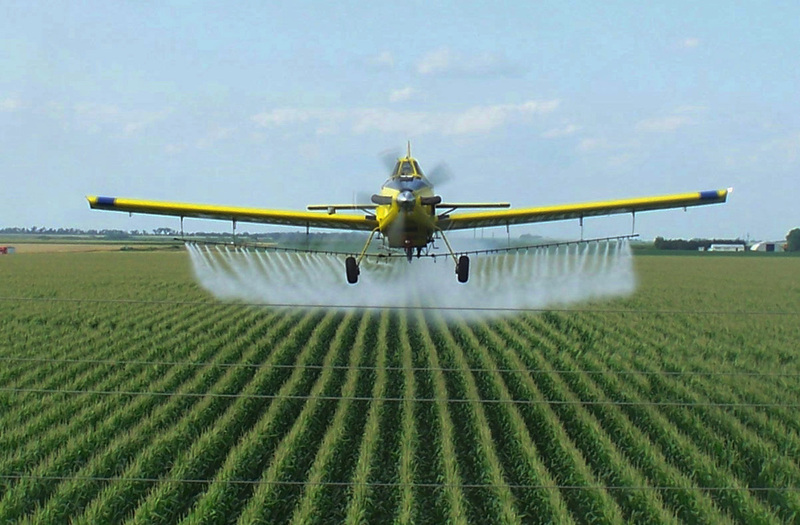 Modern farming practices, such as monoculture planting, hybridization, genetic engineering, animal concentration camps, unnatural animal dietary practices, synthetic fertilizers and chemical herbicides/fungicides/pesticides, etc. have raped the ground; depleted soil and plant nutrients; produced poison milk, eggs, and meat that cannot nourish; and severely damaged our food supply and our collective health. Our grocery stores are ripe with industrially produced edible foodstuffs...frankenfoods and dead foods created by profitable and powerful corporations. Food comes out of mineral-rich, poison-free ground and the sea, not from a laboratory. Just because you can chew, swallow, and even enjoy a certain "food" item does not make that item Food. And it certainly does not make it rich with the nutrients your body desperately needs to create and maintain health. Fake foods cause malnutrition and chronic illness. You must become an informed consumer. You must learn how to cook. Read labels and learn what they mean. Better yet, buy only real food ingredients and make your meals from scratch...like great-grandma did. Understand that Real Food costs real money...and it should. Government subsidies of non-nourishing industrial food has created a false expectation of cheap food and has robbed clean food farmers of fair wages. Become a student of food politics. Learn why corn and soy are destructive to our land, water, and our health. Accept the horrifying truths about genetically modified foods and the agendas behind them, such as sterilizing corn. Understand why wheat and high gluten grains are not recognized by the body as food (hint: it's not because our bodies were designed wrongly, it's because the grains have been so manipulated that they are no longer digestible...they are certainly not the ancient grains humans were made to consume). Understand gut dysbiosis and how to overcome it, so you can partake of Real Food and be relieved of autoimmune disorders, brain chemistry disorders and chronic illness. Awaken to the reality that we have been sold a "bill of goods" by the food and medical industries...that the lipid hypothesis is a debunked lie shackling millions of Americans to a low-fat, cholesterol-lowering drug lifestyle that is depriving their brains and hormones of essential nutrients and causing rampant autoimmune disorders. Cholesterol is absolutely essential to good health! Fat is your friend! Learn why a Real Food fertility diet is so essential to your future children's proper development and good health. Study the optimal nourishing diet for pregnancy and breastfeeding, and why mom's nutritional stores must be constantly supported...for her future health and that of future children. Understand the significance of "second child syndrome" and how to avoid it. Investigate our rising infertility rates. Study and understand the difference between truly organic Real Food and everything else (like the commercial sellout companies comprising Big Organics...when organic companies married themselves to the USDA, they began the downward slide of compromise). Eschew packaged and processed foods. Eat simply...fall in love with cooking...become familiar with traditional food preparation techniques that magnify nutrient density and improve digestibility. Embrace fat as the essential human nutrient. Buy properly cultivated fruits, vegetables, grains and animal products and learn how to prepare them for optimal nutrition and enjoyment. Eventually, you, too, as you peruse the store aisles, will routinely hear yourself saying, "That's not Real Food!" Hopefully you will learn to avoid those store aisles altogether. In addition to providing life-giving and health-building nourishment, Real Food tastes so good! You may soon become a food snob of the highest order and be constantly gratified with the gourmet meals you can prepare and savor at home! You may become a connoisseur of ethnic foods and a student of flavor blending. Real Food is more than nourishing fuel...it is gustatory delight. The Nourishing Traditions lifestyle is the diet we should adopt to be well, to thrive, to ensure proper physical development, and to reverse the malfunctions we suffer from eating the Standard American Diet. The best thing you can do today to begin reversing your health maladies and protecting your future health (and your children) is to never again consume fake fats (trans fats, vegetable oils), and to avoid soy (except for small amounts of traditionally fermented soy) and GMO corn (which is in almost everything if you eat processed foods). Due in large part to the popularity of Sally Fallon's Nourishing Traditions and numerous Real Food bloggers, many people are becoming familiar with the important work of Weston Price. His vastly enlightening tome, Nutrition and Physical Degeneration , is a must-read for anyone desiring to understand why and how food creates and affects our health. The results of his research (compiled in the 1920s-1930s) are incredible! In a nutshell, Price travelled and studied native peoples’ diets worldwide. He compared their health, development and vitality on their traditional diets to that of their newly adopted “imported” diets (this was during the advent of U.S-produced processed/industrialized food). Through years of interviews, research and examinations, Price discovered that when people consume industrialized, processed/refined foods, their health degenerates and their children’s physical development degrades. The generations reared on the traditional nourishing foods (including grass-fed animal meats and fats, including the offal, as well as whole seafoods for coastal peoples) possessed good bone structure, healthy teeth and vigorous immunity. But the new generations being raised on imported processed foods had improperly developed facial bones, resulting in poor sinus and tooth palate development. The children had sinus malfunctions (stuffy nose syndrome, sinus infections, etc.) and their mouths couldn’t hold all their teeth, nor did the teeth develop properly. (Price was seeing the common modern dental problems we think are “normal” today). Also, the people on the “new” diet suffered from lowered immunity...another new development in their history. The children contracted illnesses they had never known before, such as tuberculosis. This is just the "tip" of the proverbial iceberg. Price's work is invaluable. What we eat absolutely makes or breaks our health and our children’s proper development. And the quality of the plant foods, meat, eggs, and milk products that we consume is only as good as the diet given to the animal or the health of the ground. We can’t be properly nourished by animals who aren’t properly nourished or reared. Animals need to eat their natural diets and they need to live in natural environments. You won't get vitamin D from animal foods if the animals are confined inside all their lives. You won't get any vitamins or minerals or nutrients of significance if the animals don't consume them and the ground doesn't supply them. Dead soil and malnourished animals equals dead food. Supporting sustainable eco-agriculture and SOLE food (as much as possible) may seem like a tall order, but it is the only sane option in a world that offers synthetic "foods" that provide only malnourishment and disease. I have the best husband in the world. I'm sure many of you ladies would say the same (that you have the best husband in the world, not that mine is, LOL), but I need to sing the praises of my man. I happen to be 13 weeks pregnant. I suffered a miscarriage in September, but to my shock found myself pregnant again soon after. I have a history of infertility (my stint with veganism didn't help), miscarriages and rather uncomfortable pregnancies. So while we are ecstatic about this newest child, we are being cautiously optimistic at this point. My pregnancy this time is typical of my other successful pregnancies, though, meaning I'm sick, sick, sick (9 month stomach flu, anyone? )...but on the bright side, I'm keeping most of my food down, which is an improvement over past pregnancies (thanks to GAPS). Anyway, lllooOOOonnnngGGgg intro here, sorry...the point is that dear hubby asked last week what he could do to help lift my spirits amongst all my tummy misery. I jokingly told him that if he could find me some raw cacao truffles made only with pure Real Food ingredients of cacao, honey, herbs, spices and salt, he'd be my hero. Well, he already was, but the man never fails to amaze me. My sweetie surprised me this week with a box of nothing less than the finest, most delicious, healthy, Real Food raw cacao truffles! If you are in the mood to splurge, please check out Zorba's raw chocolates and order some nourishing cacao goodness for yourself! Oregon chocolatier Todd Bjornson is as passionate about the health benefits of raw cacao as he is about crafting delicious, beautiful and nutritious Real Food chocolates. The coconut and rose truffles are amazing. I'm sure they are all fabulous, but those are the ones I nibbled and instantly fell in love with! But if you're like me, and you want to be able to make your own Real Food chocolates, any time of the day or night, I've got a recipe for you. OK, these are not soft-centered flavor-nuanced truffles, but they are pretty good little chocolate bites (if I do say so myself). Similar recipes abound on the web, and the following is my version. Full of good fats, nutrient-rich raw cacao, potassium-rich raw honey, gut-friendly cinnamon and the optional healing/nutrient herb or berry powders, these homemade dark chocolates are indulgent and comforting, as well as rich...a little bit goes a long way! Hubby and I have an affinity for "Mexican chocolate," hence the cinnamon and cayenne. But, as always, I encourage you to experiment with this recipe and its ratios...make it your own! Gently melt cacao butter over very low heat in double boiler. Add powders, vanilla and honey, and whisk smooth. When everything is well incorporated and liquefied, pour into silicone molds (at the bottom of which you have sprinkled a bit of the coarse salt), allow to cool at room temperature or place in refrigerator. Do not place in freezer, as you will cause undesirable bloom to develop on your chocolates. When heating your ingredients, stay under 118º to keep it raw and maintain optimum nutrients (you can check with an instant thermometer ). Why raw cacao? Well check out its nutrient profile: Raw cacao is high in magnesium, anti-oxidants(!!! ), and wonderfully healing hormone enhancers. Rather than cacao butter, you can use coconut oil, but I've tried both and prefer the cacao butter for taste and texture. I find that my coconut oil is rich in coconut flavor, sometimes overwhelming the chocolate essence, and coconut oil does melt in your hands faster than cacao butter. Coconut oil also has a slightly greasier, and less pleasant "toothsome" texture than does cacao butter. But you can try either fat, or mix them...your preference. I also don't use carob powder because it is a starchy legume (GAPS illegal), lacks the true flavor of chocolate, and is deficient in those powerful raw cacao anti-oxidants. Yes, cacao contains theobromine, an alkaloid that has stimulating properties similar to but milder than caffeine. But theobromine has beneficial effects, such as enhancing circulation, and does not contain the adrenal-draining and addictive properties of caffeine. In my opinion, moderate amounts of raw cacao are nourishing and medicinally beneficial. I don't let my kids overdo it, just as I limit their intake of raw honey. These Real Foods are nutrient-rich, but can be stimulating and should be monitored as a minimal part of the diet. But we all need a treat, and if we're going to treat ourselves we should do it with delicious, nutritious, body beneficial Real Foods! I love this creative portrayal of life in a factory farm. The video was produced for Animals Australia, a project hoping to end the factory farm system. Maybe it's a bit "over-emotional," maybe it feeds into the vegan agenda (I absolutely agree animal cruelty is outrageous. I believe farmers should practice honorable animal husbandry, treating animals with respect and giving them nourishing, happy lives. But I'm convinced we need to eat animals to be fully healthy...sorry vegans, we part ways there). But the message is compelling and the truth is undeniable: factory farms are NOT the place from where your food should come. Choose SOLE food instead! (Sustainable, organic, local, ETHICAL.) Bravo to FSM and Animals Australia! And if you need more convincing, consider the ugly example that most industrial pork is contaminated with pathogenic bacteria. Don't eat it if you care about your health. Don't eat any industrial foods... animal or otherwise...if you care about your health. Remember, Americans have access to and eat more "edible foodstuffs" than people anywhere else in the world, yet we suffer from more malnourishment, obesity and chronic illness than any other culture. You are what you eat. Garbage in, garbage out. You don't have to suffer, and neither do the animals you eat. Support small farms that produce Real Food...sustainably, healthily, humanely. Animals Australia - Pigs fly. And sing. With chickens. from FSM on Vimeo. The pictures say it all. For anyone still convinced that Organic commercial milk is the way to go, take a look at the photo story of one of Horizon Farm's milk facilities. The milk is coming from primarily confined, grain-fed cows living in less-than-pristine conditions. It's no wonder the dairy industry and the CDC is so adamant that milk be uber-pasteurized and denatured...covering up the dirty dairy industry takes a lot of manipulations. But the Organic dairy industry is far superior, right? I'm not convinced...and I hope you aren't either. Check out these dairy CAFO photos and then google some more. As others have pointed out before me, USDA Organic dairy usually comes from "big dairy" factory farms. 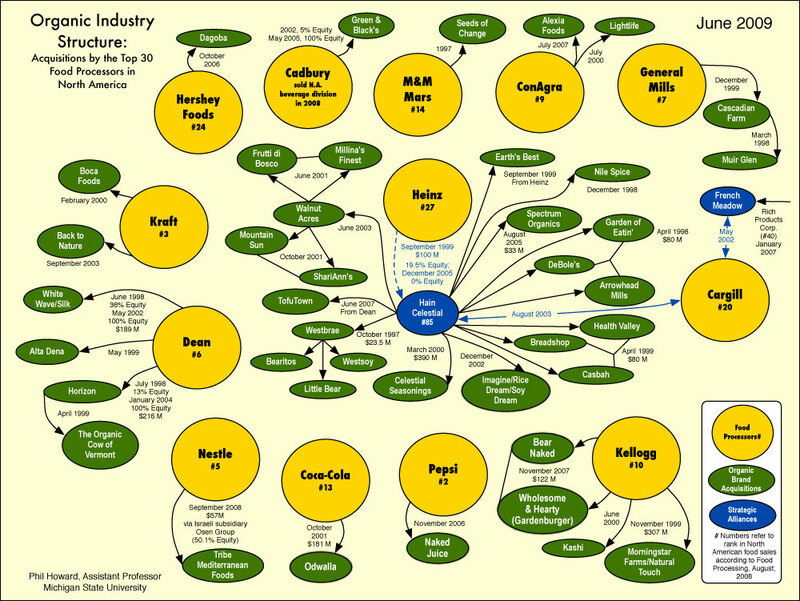 The vast majority of organic milk comes from 3 or 4 large producers owned by vast agribusiness conglomerates. Each one has several thousand cows. The milk travels thousands of miles from these places to your supermarket. Most of these farms depend on the same breeding and feeding methods as their conventional counterparts- the cows are fed high energy rations to increase production, they are milked 3 times/day, and they are given as little grazing time as they can get away with. The milk is separated and homogenized the same way it is done in the other large companies-traveling through miles of pipes to have its fat molecules broken up into tiny pieces. The above post was written two years ago. Do you think the dairy industry, including USDA Organic dairy has gotten cleaner since then? Do the cows below look like grass-fed, clean, well-cared-for cows from which you will receive nutrient-rich Real Milk? The government tells us that raw milk isn't safe. Well, in part, that's true. Raw milk from the conventional dairy industry is NOT safe. They know it, regulators know it, and we should know it, too. No one should drink raw milk coming from unnaturally raised, grain-fed cows confined in their own feces. But the kind of family farm raw milk we Real Foodies recommend is not dairy industry milk. When the CDC, FDA, USDA, et al. tell the public that raw milk is dangerous and should be illegal, they are lumping together all the known dirty milk from the dairy industry with the good, Real Food grass-fed raw milk from small, responsible producers. And that, my friends, is cheating. Isn't it interesting that the only farm crop more legislated than raw milk is marijuana? Milk...marijuana...milk...marijuana. Really?! The only safe, nourishing, Real Milk available is raw, grass-fed whole milk (yes, drink it with the cream) from small family farms. If you can't get it, you really shouldn't be drinking milk. The alternative is not going to do your body good. Photo Courtesy of CARE, Washington State. The fraudulent "lipid hypothesis" that has given our culture (good) fat phobia since the 1950s...and done wonders for the food and drug industry...has perpetuated the myth that butter is bad and that skim milk is healthy. Au contraire! Skim milk is not a nourishing food. If you aren't drinking whole (raw grass-fed) milk, you aren't doing your body good. The essential nutrients in milk is in its fat. Cream from grass-fed cows is rich in vitamins A, D3, and K2 (industrial pasteurized milk is "fortified" with synthetic vitamin D2, known to be toxic to the liver). Real milk's vitamins (A, D, E, K) and its CLA (conjugated linoleic acid) are fat-soluble, and are transmitted via the cream (they exist in the fat of the milk)...and they cannot be absorbed, nor utilized, without the fat. Low-fat (commercial) milk is always supplemented with vitamins, because they are naturally missing after the milk's processing. Saturated fat is an essential human nutrient. It builds and strengthens multiple bodily systems, hormones and organs, including the brain and the heart. Inefficient saturated fat intake is a major factor in the modern epidemic scourge of chronic disease and endocrine disruption in our culture. I've had people tell me that they can't (won't) drink whole milk...they don't like "creamy" milk. This is the ubiquitous adverse palette programming of two generations being raised on skim or reduced fat milk, the unfortunate result of the food industry's "fat is bad" mantra. If you will not retrain your palette to consume whole milk, at least do not relegate your children to the same nutrient-deficient fate. Congress is back in session, and it has to address how to fund the government in the coming year. The dangerous “Monsanto” rider is still on the table for the 2013 Appropriations bill, and we need to stop it! Though cloaked in "farmer-friendly" language, this" farmer assurance provision" is simply a biotech industry ploy to continue to plant genetically modified (GMO) crops even when a court of law has found they were approved illegally. The provision undermines USDA's oversight of GMO crops and interferes with the U.S. judicial review process. It is also completely unnecessary and offers "assurance" only to biotech companies like Monsanto, not farmers. We need legislators who are willing to stand up and say no to this dangerous rider! Representative Peter DeFazio (D- OR) has authored a "Dear Colleague" letter opposing the biotech rider and is urging his colleagues in the U.S. House of Representatives to join him. Please tell your Representative to support the DeFazio Dear Colleague letter opposing the biotech rider! In addition, Senator Inouye, as Chairman of the Senate Appropriations Committee, is in a key position to stop this rider. We need everyone to ask their Senators to urge Senator Inouye to stand firm against the rider. There is only a short period of time for Congress to resolve the Appropriations Bill before the end of the lame duck session. Please take action today! 1) Contact your US. Representative, and urge him or her to sign on to the DeFazio letter opposing the biotech rider in the 2013 Appropriations bill. If you don't know who represents you, you can find out online at www.house.gov or by calling the Capitol Switchboard at 202-224-3121. My name is ___, and I am a constituent. I am calling to urge Representative ____ to strongly oppose the “farmer assurance provision,” section 733, currently included in the House Fiscal Year 2013 Agriculture Appropriations bill. Congress must protect the few safeguards we have in place for genetically engineered crops, not eliminate them to appease a handful of chemical companies. I urge my Representative to sign on to the letter by Representative DeFazio opposing the biotech rider. 2) Contact both of your U.S. Senators, and urge them to ask Senator Inouye to stand firm and not allow the biotech rider in the Senate version of the 2013 Appropriations bill. If you don't know who represents you, you can find out online at www.senate.gov or by calling the Capitol Switchboard at 202-224-3121. My name is ___, and I am a constituent. I am calling to ask that Senator ____ to strongly oppose the “farmer assurance provision”, section 733, currently included in the House Fiscal Year 2013 Agriculture Appropriations bill. I ask that my Senator urge Senate Appropriations Chairman Inouye to oppose this dangerous and non-germane rider. Congress must protect the few safeguards we have in place for genetically engineered crops, not eliminate them to appease a handful of chemical companies. Though wrapped in a "farmer-friendly" package, the biotech rider (section 733) is simply an industry ploy to continue to plant GMO crops even when a court of law has found they were approved illegally. The provision is intended to force USDA to grant temporary permits and deregulations of GMO crops even if a Federal court rules that USDA hadn't adequately considered the environmental or economic risks to farmers. This would negate any meaningful judicial review of USDA's decisions to allow commercialization of GMO crops. If a GMO crop approval was shown to violate the law and require further analysis of its harmful impacts (as several courts have concluded in recent years, for example with GMO alfalfa and GMO sugar beets) this provision would override any court-mandated caution and allow continued planting and commercialization while further review takes place. The judicial review process is an essential element of U.S. law and serves as a vital check on any federal agency decision that may negatively impact human health, the environment, or livelihoods. Yet this rider seeks an end-run around such judicial review by preemptively deciding that industry can set its own conditions to continue to sell biotech seeds, even if a court may find them to have been wrongfully approved. Further, it forces USDA to approve permits for such continued planting immediately, putting industry completely in charge by creating loophole approvals tailored to counter any "inconvenient" court decisions for the industry. USDA’s duty is to protect the interests of all farmers and the environment, a duty that would be eliminated by this provision. The provision is also completely unnecessary. No farmer has ever had his or her crops destroyed following such a court ruling. Every court to decide these issues has carefully weighed the interests of farmers, as is already required by law. This rider effectively guts the few existing protections against the spread of dangerous GMO crops. Please help us stop it! You can also take action at the Alliance for Natural Health site and through SignOn.org. Lately, my stomach has begun to sink when I hear my husband reading the Acres USA magazine. "Uh-oh," he'll say. "That's not good." Or, "You've GOT to be kidding me!" He replies with a scowl. "You won't believe what's happening in Bellingham." Traditional Rural Lifestyles Under Assault: Despite the growing back-to-the-land movement, many legal and planning challenges continue to stymie smaller farms while favoring industrial-scale agriculture. As I cringe at yet another attempted murder of Real Food, hubby gives me a glimpse of the latest onerous move against food freedom in a locale that is known for its clean food cravings. This time it's Whatcom County regulations making it more difficult for small farms to raise and sell food. And I can't help but wonder...what's happening? We live in a day when the message of clean food, real health, and consumer rights is louder than ever (who hasn't seen Food, Inc.? who hasn't heard of Joel Salatin? how many Real Food blogs does it take? ...Ron Paul, anyone?). Yet, it feels like we're losing the fight. Just look at the recent stinging loss of Prop 37. I feel like I have the credibility as a former Californian to say this...What happened people? Prop 37 fails? You can't be serious! You don't want to know if you are eating GMOs? Well, I don't believe it for a moment. It is more likely that we are seeing the twisted system at work. Can you say foul play? Of course I expect Monsanto and cronies to use their deep pockets (and powerful friends in high places) to fight consumer rights and food freedoms, but I don't expect the voters to play into their hands. Big frankenAg loves it when consumers are swayed by "studies" that organic food is no healthier than the alternative. In its fight of Prop 37, Monsanto falsely quoted the FDA to mislead voters. But none of that should matter, right? Why would concerned and knowledgeable voters fall prey to false advertising and phony studies ("We're Stanford...if we say it it must be true")? We're living in the information age. Are we still trusting the FDA and robodocs? (good one, Sarah.) Aren't we smarter than that? We know that power corrupts. We know how people will say anything for money...for control. We know better...we care more...don't we? That's right, I'm a grazing goat...and I give great milk! California has traditionally led the nation in the food fight. But the failure of Prop 37 plays right into the hands of Big Ag. Any win for them is a deleterious loss for us, the people...for our future food and health choice freedoms. I recall some anti-Prop 37 rhetoric from the Libertarian camp in the months before the vote. To my understanding, the Libertarians took umbrage at further government regulation in this arena. They would prefer that consumers somehow induce companies to voluntarily label their foods. I could be mistaken, but that's my take on the argument. Without waxing too politically philosophical, I would like to share my (radical and perhaps contradictory?) view on that message. I think it's a little bit of rubbish. Don't get me wrong...I consider myself a Libertarian of sorts (if I allow myself to enter any classification at all politically). Of course I agree that all levels of our government have metastasized, like a cancerous growth, far beyond the boundaries of their acceptable purposes. I despise big government and over-regulation of our lives. I would love to see government out of our business, and out of the marketplace (for the most part...hang on, I'll get there). But let's get real. It isn't happening. Legislators and government agents are not looking out for your best interests...they are held sway by corporate interests. (Case in point, the on-going raw milk war.) And at this crucial time in our nation's food fight, I do not believe the GMO labeling issue is the ground in which to stake the flag of "no more government regulation." The government is already protecting the bad guys...is it too much to desire that our government (for the people, by the people, right?) requires Truth in Labeling? At its core, I see Prop 37 as a truth in labeling law. It would have required "food" corporations to enact full disclosure to consumers about what they are eating. It seems to me that truth in labeling fits seamlessly with a Libertarian view of government's purpose. Based on the simple yet wise historical tradition of common law, the role of government should be to protect citizens from encroachment, and to enforce contracts. Common law says: Do all that you have promised to do, and Do not encroach on persons and their property. Period. If any peoples anywhere at any time desire to enact a government, those alone are the principles that should be upheld. I see these principles at work in labeling laws. Fair and just regulations would be those that disallow force and fraud in the market place. Truth in labeling reduces fraud. In addition to eliminating (or lessening) the perpetuation of fraud in the food market, labeling laws would reduce encroachment upon persons, in the form of protecting consumers from being physically harmed by Big Ag's offerings. This is vitally important when we understand the truth that we are what we eat...that what we eat can damage our DNA. You are made well or ill by what you put in your body. (Fake) food corporations would no longer be able to hide behind their lack of disclosure. People would be empowered to make educated choices about what substances they are feeding themselves and their children. Ignorance is certainly not bliss when one is being poisoned against one's will. Well, coming on the heels of the GMO labeling defeat, it seems California will no longer be a bastion of enlightenment in the Real Food fight...we'll need to begin looking elsewhere for our inspiration and national clean food leadership. Perhaps we can follow the lead of San Juan County...at least, until Monsanto sues them and buys itself a win. So, what's the answer? Can we trust that the "free market" will prevail and we will always be assured the choices we desire? I'm not putting my eggs in that basket, considering that Monsanto and cronies desire not just part of market share, but to control the entire market. They already have "good friends" in government positions and regulatory agencies. I think our real hope lies in boycott and community self-sufficiency. Corporate food avoidance is the best medicine. If you want to be certain you are not ingesting GMOs, do not eat any processed foods, nor any crops/produce known to have GMO in production. Purchase raw ingredients from farmers you trust; ask them about their seed sources. Don't patronize farmers who buy seed from Monsanto et al. Currently, you may be able to avoid GMOs by purchasing Organic foods, but I have no hope that this will continue to be the safeguard we need. The USDA certified Organic standards are already full of compromises...where is that bus headed? With Big Ag at the wheel, I certainly do not trust the future integrity and purity of the Organic label. Right now, you can still vote with your fork. Consider any company unwilling to fully display the components of their ingredients not to be trusted. Do not buy from such companies. My family just spent a wonderful Thanksgiving with dear friends. We enjoyed organic pastured heritage breed turkey purchased from a farmer with whom we have developed a relationship. We ate an organic pastured ham from one of the heritage breed pigs that my husband raised and butchered himself. Among other lovely foods, we were blessed with an abundance of organic gourmet potatoes (multiple varieties) from a local farmer friend. (For the nonGAPS eaters in the group.) The meal was fabulous. During our dinner, we shared with each other blessings for which we were thankful. More than one person mentioned good food and good health. My prayer for all of you...for all of us...is that we may continue to pursue our fundamental, inalienable food and health freedoms. To do so may require a food fight of increased vigor. Let's rise to the challenge. After reading multiple posts this summer about the Extra Virgin Olive Oil controversy, I decided to investigate my olive oils for authenticity. Of course, we have no foolproof way to do so (I don't have access to a mass spectrometer, LOL), and there is no home test that can guarantee your bottle of EVOO is in fact pure, unadulterated olive oil. But I felt that the refrigeration test was the best option. If your olive oil crystallizes/solidifies it isn't a guarantee that no other oils are present, but if your olive oil does not at all crystallize, it tells you that there is no decent olive oil in that bottle. I apologize for my brevity, but life is just beginning to become normal again after a miscarriage, so I am not my usual verbose self. I'll just give you a quick rundown of my findings. My sample of organic Spanish EVOO from Trader Joe's did NOT solidify at all, not even after 48 hours. I gave up and forgot to take a photo. I have purchased various TJ's oils over the years and have noticed the flavor to be bland. I only had the Spanish bottle left in my pantry, so tested it. I'm ruling it a fake and no longer buying it (and likely won't buy TJ's EVOOs at all. Sometimes you do get what you pay for). My samples of Napa Valley Organic Extra Virgin Olive Oil (Italian blend) and Bariani Californian EVOO (I purchase at Live Superfoods ) turned semi-solid within 12 hours. My sample of Bionaturae Organic Extra Virgin Olive Oil (Italian blend) was beginning to crystallize after 12 hours, but did not actually become semi-solid until spending 24 hours in the fridge. Of all the oils, the Bariani tasted the most authentic to me, with a strong peppery finish. The Bionaturae oil's website describes the company's hand harvesting and same-day pressing process, and the information presented is appealing. I cannot be assured completely that my three "winners" are indeed nothing but pure, uncut EVOO, but I'm hopeful that they are. The biggest disappointment was my Kirkland (Costco brand) organic EVOO. This oil was one of many tested by UC Davis in July 2010; at that time it was determined to be pure. I have bought this oil for a couple years to use in my medicinal herbal salves. When I refrigerated the bottle for a week, there was hardly any crystallization at all, just slight cloudiness. When I studied the refrigerated herbal oils I had prepared with Kirkland oil, I found that last year's oil was nearly solidified but my recent batches (with oil purchased this spring) were much more liquid. If the refrigeration test can tell us anything about EVOO authenticity, I suspect a degradation of Kirkland EVOO quality since the 2010 testing. Again, my experiment is not conclusive either way, but I am looking for some guideline to use in my future EVOO purchases. Keep in mind that when purchasing from large vendors and companies that buy from middle men, EVOO qualities will change from season to season, even batch to batch. Companies like Costco, who buy in vast quantities, are purchasing oils from multiple orchard sources. Companies like Trader Joe's do the same...purchase vast quantities of oils from multiple suppliers and then repackage with their label. So genuine EVOO quality could be hit and miss in these cases; it certainly won't be predictable and static. Purchasing from smaller companies with traceable supply sources, or directly from an orchard or a vendor who works with single orchards, is a consumer's best option. In truth, the USDA Organic label is not a pure standard ensuring that consumers are purchasing and eating Real Clean Food. The moment that government regulators became involved in the world of organic food production, the standards became adulterated, the lines blurred. Years ago, clean food farmers warned their peers to avoid signing a deal with the USDA, but the warning was unheeded and (official) Organic food quality has been and will continue to be subject to regulation whims and corporate adulteration. There are currently almost 300 non-organic and synthetic compounds approved for use in organic farming or food production. ... In November, 2011, the USDA's National Organic Standards Board (NOSB) held a meeting in Savannah, Georgia. During that meeting, two 12-billion-dollar corporations--Martek Biosciences (a division of the Dutch biotechnology giant DSM), and WhiteWave (a division of the dairy behemoth Dean Foods)—received approval for synthetic, genetically mutated DHA and ARA oils derived from algae and soil fungus, which are then grown in a medium of genetically engineered corn products and organics. The allowed chemicals and substances in Organic production include chlorine (a potent toxin), chlorine dioxide (a dangerous endocrine disruptor and carcinogen), tetracycline and streptomycin (antibiotics), processed carrageenan (an inflammatory and potentially carcinogenic "stabilizer" derived from seaweed), and other questionable substances. Additionally, corporations have been found sneaking synthetic preservatives into their Organic offerings. Chairman and President of Eden Foods, Inc., Michael Potter ... has witnessed, first-hand, the deteriorating standards of the NOSB. A deterioration so disturbing that despite the millions of dollars he stands to pocket by selling Eden Foods to one of the many large corporations who have offered to buy it, Mr. Potter stands strong in his refusal to compromise the values of a company he worked hard to build. In fact, he’s even trending carefully with regards to his children, making sure they understand values of Eden Foods. Each one of his four children “must earn any control of the family company” according to the New York Times. During her tenure, Ms. Fulwider, Organic Valley’s animal-husbandry specialist, has voted almost in lock step with its corporate members, even though her vote may be supporting something Organic Valley does not allow its own members to do. ... Ms. Fulwider surprised many observers at a board meeting in May by voting in favor of keeping carrageenan on the organic list. Before that meeting, Organic Valley was saying that it planned to find an alternative to the additive, and there is a long and active list of consumer complaints on its web site about the cooperative’s use of it in things like heavy cream and chocolate milk. Ms. Fuldwider has also voted to let organic egg producers give their chickens just two square feet of living space, when Cropp requires its own farmers to provide five. The danger of these strange food bedfellows is already becoming apparent. In addition to the concerns I mentioned above, organics watchdog group Cornucopia Institute regularly reports on the drawbacks associated with allowing big government and big business to influence organic food production. For example, as the Institute recently reported, "Corporations Stab Organic Consumers in Back:"
Corporations owning some of the nation's most popular organic brands (Horizon, Silk, Kashi, Cascadian Farms, R.W. Knudsen's, etc.) have joined Monsanto and the biotechnology industry in fighting California citizen initiative, Proposition 37, that will mandate GMO labeling. And if we win in California, companies will then likely be forced to label GMOs nationwide. The best way to guarantee you are feeding your family clean food, truly organic food, is to purchase food grown from farmers with whom you can build relationships...whose farms you can see...whose methods and practices you can question. Their food need not be Certified Organic (approved by the infamous USDA) to be truly organic food. In my experience, most food from local organic producers is cleaner than anything I can purchase in a store. And the farmers care about their local reputation. Often, to differentiate themselves from the Certified Organic crowd, farmers will call their offerings "beyond organic." When they are genuine, the quality of their food exceeds what the USDA allows to pass as Organic. To avoid the pitfalls of corporate Organics, buy from smaller producers who are accountable to you, their patrons. Sometimes we have no choice. We all still must eat. In that case, I recommend the supermarket USDA Organic foods over their conventionally produced cousins. Certified Organic may not be perfect, may not be pure, may not be playing fair, but as far as we know now, it is less toxic than the non-Organic counterparts and is the healthier choice. Certain problems associated with the "allowable" Organics standards affect processed food offerings. If you are relying heavily on Organic processed and packaged foods, you should consider learning to prepare your own meals and snacks from scratch with Real Food components. Blogs abound with recipes and instructions. A steady diet of processed foods, even Organic, will not properly nourish you or your family. The further you get from the genuine food article as it appears in nature, the less nutritious it is...and the more likely to be subject to additives, preservatives and ingredients that you cannot understand nor recognize, because they are not Real Food. Nothing that is produced in a lab is Real Food...not even if the label says "natural." Real Food grows out of the ground and from the animals that eat what grows out of the ground. When we support the farmers who believe in and produce Real Food, we are supporting our health and our future well-being. "This is what cooking is all about!" PBS did a clever remix of Julia to celebrate her 100th birthday. Bon appetit! Watch Julia Child Remixed - Keep on Cooking on PBS. See more from PBS Digital Studios. I have two local sources for grass-fed raw cow's cream. One friend has a Guernsey cow, the other friends get Jersey milk from a local Real Food farmer. We don't drink cow's milk, but adore and devour butter (because we're doing GAPS, the gut healing protocol, we only consume our goat milk in the form of naturally fermented yogurt...I love the villi starter from Cultures for Health). I've been making raw butter with the cream for a while now, but it only occurred to me recently to compare my results with the two creams. What I found was interesting, so I thought I'd share. If you read about the differences between the Guernsey and Jersey breeds, you will see that Jersey's are known for their slightly higher butterfat content. Guernsey milk, however, is higher in beta carotene, evidenced by its brighter golden color. To my palette, which is fairly sensitive, the milks/creams are nearly indistinguishable. I have read (see books below) that all unadulterated, grass-fed milks of cows, goats and sheep will taste pretty much the same (sweet and fresh, yum), and at this time, I concur. Our browse-fed goats' milk tastes just as sweet and creamy as the grass-fed Jersey and Guernsey milks. I used the same amount of cream: 1/2 gallon. I only measured the buttermilk from the initial pour off; I didn't weigh any of the "washing" liquid that removed the rest of the buttermilk from the butter. See photos below for more details. When I made the Jersey cream into butter, I ended up with more butter and less buttermilk than with the G cream. The Guernsey cream produced less butter and more buttermilk than did the J cream. The Guernsey butter is slightly more yellow. I compared the final weights of the butters in bowls weighing the same and taring my scale . The final photo is a comparison of the butters to some Kerrygold pasteurized butter. The color variations are difficult to see in the photos, I apologize. I can assure you that the Guernsey was a bit more yellow, not a lot, and both Jersey and Guernsey butters out-yellowed the Kerrygold. Jersey buttermilk at just over 20 oz. Guernsey buttermilk at just over 24 oz. Weighing Jersey butter: 14.3 oz. Weighing Guernsey butter: 9.10 oz. So, for what it's worth, there's my little raw butter comparison experiment. Of course, results will vary depending on your cream source and that cow's diet, the time of year, and other factors of which I'm probably ignorant, LOL. In the end, I love all grass-fed raw butter and am thankful for the cream with which I make it. I like testing out my own questions, like, "Does Jersey cream really give more butter than other breeds?" In my analysis, the answer is yes. Perfect "science?" Probably not. Do I care? No. Was it fun? Absolutely! I was able to question and compare, and we enjoyed eating the test subjects! Try for yourself if you can.